After completing her Bachelor of Arts at The University of Texas at Austin, Dr. Melissa Montoya Celi received her medical degree at Ross University School of Medicine. She then completed her residency training with the Memorial Family Medicine Residency Program in Sugar Land. A native Houstonian, Dr. Celi was born at Memorial Hermann Greater Heights Hospital, formerly known as Memorial Hermann Northwest Hospital, where her father retired as a practicing physician. Her family roots in medicine and her desire to help people led her to become a physician. Board certified in family medicine, Dr. Celi treats patients ages 6 and up. She provides care for a wide range of health needs, including acute and chronic illnesses, such as hypertension, diabetes, cholesterol, bladder issues, such as urinary tract infections (UTIs), arthritis, skin tag removals, and preventive medicine. Her clinical interests include treating diabetes, patients with heart disease and providing nutrition counseling. Patients in the Houston Heights and surrounding communities enjoy her compassionate and respectful approach to care. Her goals are to educate her patients, ensure they understand their plan of care and make sure they are part of the decision-making process. She is also fluent in French and Spanish. Dr. Montoya Celi resides with her husband and three sons in the Houston Heights. In her spare time, she enjoys staying connected to family, trying new restaurants, traveling and doing yoga. Dr. Celi practices at Memorial Hermann Medical Group Greater Heights. 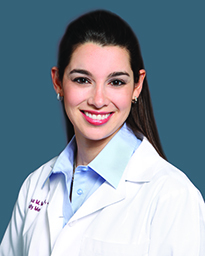 Learn more about Dr. Melissa Montoya Celi of Memorial Hermann Medical Group in Houston, TX. Medicine a family affair for MHGH doc. Memorial Hermann Greater Heights (formerly Memorial Hermann Northwest Hospital) has become entrenched in the lives of many Leader-area communities; and for one individual, the place has also become a second home in more ways than one throughout her life.